Tools Available Now - Use Them! Masonry industry partners have been working steadily on the development of BIM-M tools and processes for the masonry industry. Since 2012, Building Information Modeling for Masonry (BIM-M) has studied the needs of the masonry industry of the United States and Canada and those efforts are now making BIM easier for masonry projects. Completing Generation 1 of BIM-M is our way of targeting the completion of specific development and implementation goals for the masonry industry for 2018. No need to wait until then, BIM-M has masonry tools now available for use with more to come! BIM-M is funding numerous projects that provide masonry BIM tools for all users. The successes of BIM-M have also attracted greater financial support from the construction industry and spawned third-party development of more masonry BIM software than ever seen before. To unify the masonry industry and all supporting industries through the development and implementation of BIM for Masonry software to facilitate smoother workflows and collaboration across all disciplines from owner, architect, engineer, manufacturer, mason contractor, construction manager and maintenance professionals. BIM-M represents masonry industry improvement and greater efficiency. We all know that masonry has been used since humans started building and has been the material of choice for construction that lasts for millennia! With BIM-M, we demonstrate that masonry is an efficient and high-performance material for building today and remains the future of the building industry! Short videos on specific technical topics and longer seminar presentations are available on the BIM-M YouTube channel. 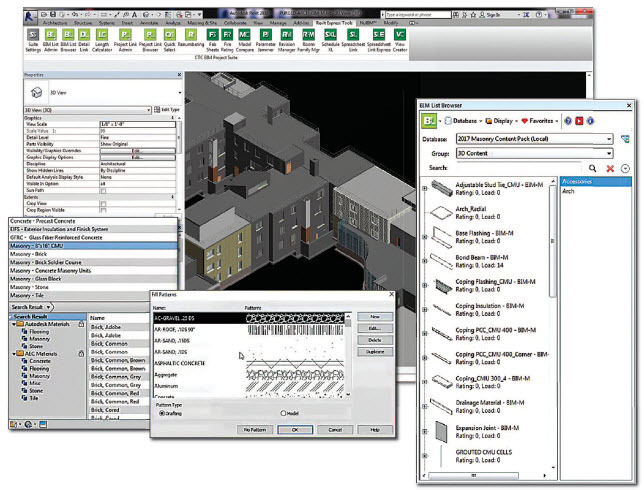 Examples from the masonry pack showing express tools menu with the BIM list browser providing a wide selection of 3D content materials relating to masonry. The browser also provides standard masonry walls, masonry detail items, and profiles. Where Can You Find BIM-M? BIM-M is everywhere! You can find tools and information on the web at bimformasonry.org and at The Masonry Society meetings masonrysociety.org. You’ll also find BIM-M on the Autodesk blog or at the BIM Forum. (See a full list of web urls and contact information at the end of the article.) Jamie L Davis, PE, LEED AP, Principal and President of Ryan Biggs | Clark Davis, Engineering and Surveying, and Manager of Project 3, Masonry Wall Definition, of the BIM-M Initiative, spoke about the Top 10 Things You Should Know About BIM for Masonry at the BIM Forum meetings in October in Atlanta. BIM-M is emerging everywhere because of its many major sponsors in the US and Canada - see sidebar on page 40. Ask your brick and CMU suppliers and your mason contractors about BIM-M.
Architects, engineers and contractors have been asking for more masonry BIM tools that complement Autodesk Revit. There are many tools available with more on the way. Initial development is for concrete masonry and clay masonry construction, but much more is coming for veneers, natural stone, manufactured stone, cast stone, tile and terra cotta. 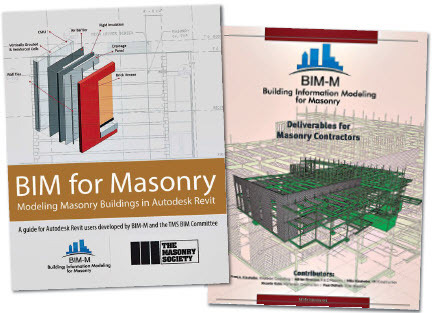 BIM for Masonry, Modeling Masonry Buildings in Autodesk Revit, is a guide for Autodesk Revit users developed by BIM-M and the TMS BIM Committee TMS (The Masonry Society) BIM Committee, a group of mostly architects and engineers, is at the forefront of masonry BIM development. You, too, can participate in setting the standards for BIM-M. Contact TMS BIM Committee Chair Jamie Davis, jdavis@ryanbiggs.com, or through TMS or BIM-M websites. This BIM-M guide, developed by actual Revit users to aid masonry designers with modeling, is filled with tips and techniques to make using easier. A free download from the BIM-M site and from many sponsoring organizations, the guide comes with two Revit models that incorporate techniques for a quick introduction to get started. Only want specific information on a topic? How about a short 5- to 10-minute video? BIM-M has these available on its website or by subscribing to the BIM-M YouTube channel. You’ll find technical topics, promotional videos and seminars with more to come. A recent addition is the introduction of instructional videos based upon the Autodesk Revit guide. Here, BIM-M provides short videos taken from the guide to get the user directly involved. BIM for Masonry –Modeling Masonry Buildings in Autodesk Revit (left) contains web-based masonry materials database to interact with existing BIM software. BIM Deliverables Guide for Mason Contractors (right) is a resource for contractors about the benefits of modeling. Creating hatch patterns has been receiving a lot of views, which emphasizes that users want this type of masonry information. 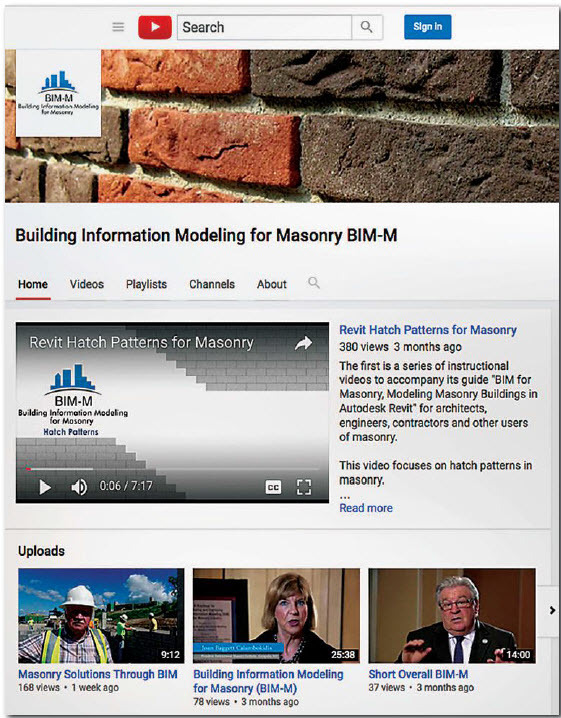 Become a subscriber to the channel and get all the latest masonry BIM information. More videos will be added in coming months. You don’t need a card to get into this library, plus it’s free! This digital library includes 2D and 3D images of standard masonry element content developed by expert users. Freely incorporate anything from the library into models with drag and drop loading. Images are presented through a graphic interface that does not require searching the entire library to find the content. Experts have created such content as bond beams, vertical reinforcement in grouted cells, movement joints, arches, wall types of numerous conditions, various generic unit profiles, wall hatches for bonding patterns, flashing details and more. An instructional setup video accompanies the library access. Specifically for mason contractors, BIM-M has introduced a guide for entering the world of BIM. Authored by Fred Kinateder and the BIM-M Contractors Committee, this guide is written by mason contractors for mason contractors. While contractors often use BIM for the first time as a project requirement, the guide is filled with actual examples from projects on which mason contractors decided, without any contract demands, to use 3D modeling to improve their own workflow and processes. These contractors have found economic benefit to performing modeling for their own use and share tips and knowledge with the masonry industry in this guide. Freely incorporate anything from the digital library into BIM models with drag and drop loading. Version 1 provides tips for contractors to get started with BIM. However, the examples are using Trimble Sketchup, a 3D modeling program that is not full-BIM, but is a good start. Contractors: want a presentation on the guide? Or, want to be part of the BIM-M Contractors Committee and help set the standards for mason contractors in the BIM environment? 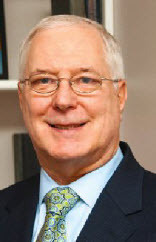 Contact Fred Kinateder for BIM tips from a mason contractor. BIM-M Symposium 2017 will be held May 4-5 in Chicago for architects, engineers, contractors and BIM-users. Stay tuned! Look to BIMforMasonry.org and the YouTube channel for the latest! BIM-M is being guided by the Digital Building Laboratory at the Georgia Institute of Technology.